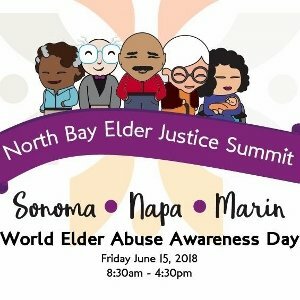 Hired Hands is proud to celebrate this day by participating in the North Bay Elder Justice Summit – an all day forum presented by the Directors of Aging and Adult Services of Marin, Napa & Sonoma counties. The Summit includes an amazing line-up of authoritative speakers on all facets of elder abuse awareness and prevention. Many thanks to Senior Advocacy Services of Sonoma Co. for producing this productive forum. For more information, please visit https://senioradvocacyservices.org. On June 15, let’s band together, and raise awareness for this extremely important cause. Learn about the signs, and what can be done to help. If you cannot join us at the North Bay Elder Justice Summit , the internet is a great source for information and help. The National Council on Aging has a wealth of information that can be found at https://www.ncoa.org/public-policy-action/elder-justice/elder-abuse-facts, and is a great place to start. Together, we can work towards helping Seniors remain safe and well!